Choosing a gift for your sweetheart is a challenge and picking a gift for the Valentine’s Day is further tough! There are hundreds of choices to be made. However, it is quite overwhelming when you choose jewellery that she will like. Here are a few things that will help you search the best stuff for her. It is guaranteed that the efforts will be worthwhile, and she will feel so special on the big day! When you know her choice and preference, you can pick the right jewellery that is impressive for her. For that, you have to be a little vigilant. Does she wear Hoop earrings always? If yes, then it is her first choice. If she doesn’t, then it is inappropriate to choose a pair of hoops. Leave it off the shopping list. Check what colors, metals or gems that flatter her? What is her dressing style? Choose a jewellery that compliments her dressing and style. Did you think about buying something like Eternity Band/Infinity Ring? It is a superb idea. Your Valentine feels special when she receives something unique. Hence, spend some time searching for the jewellery item. A set of handmade jewellery received from some royal family’s collection will win her heart. 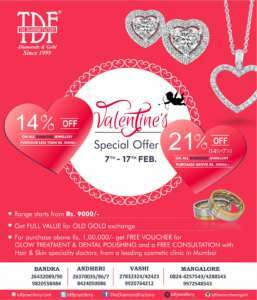 Or pick some Heart-shaped jewellery – pendant, rings, earrings; all in24-carat gold with stunningly intricate details! It would be a mind-boggling gift. What about gifting a pendant, an infinity ring, and a bracelet; all crusted with glowing diamonds? Can there be anything more perfect gift for Valentine’s day eve that this? A Bracelet represents the endless love. Hence, it is a jewellery item which is close to the heart of your darling. It shows your commitment and bond. Gift her a bracelet that symbolizes your everlasting love and affection to her. Whether you choose gold, silver or rose gold; it is your choice. Your beloved sweetheart will appreciate anything you gift her. The Solitaire ring is a piece of jewellery that she can wear on any occasion or even daily. It will remind her of your love and closeness. If your sweetheart wants to stand out differently, then pick the most stunning gemstone cocktail ring. Make sure the prominent color is her favorite one! 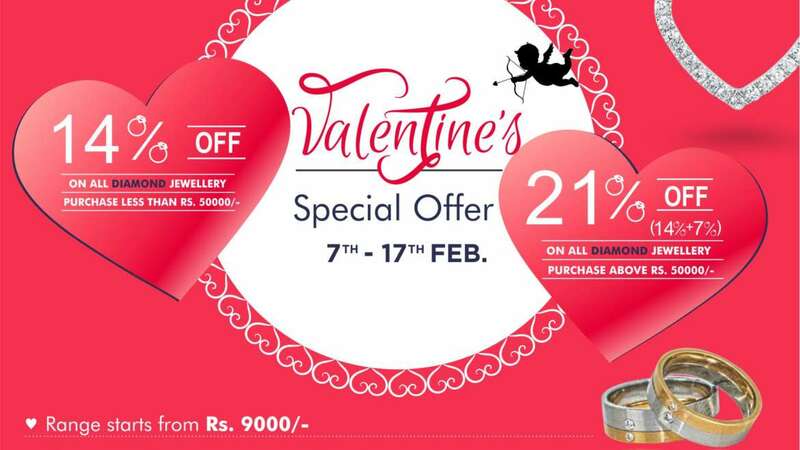 Valentine’s Day Special jewellery is a symbol of eternal love. Pick something that represents the endurance of your love!